You take pride in the fashion line you developed. The next step is to hire the services of public relations firm that can execute a PR campaign to bring it the level of attention you desire. 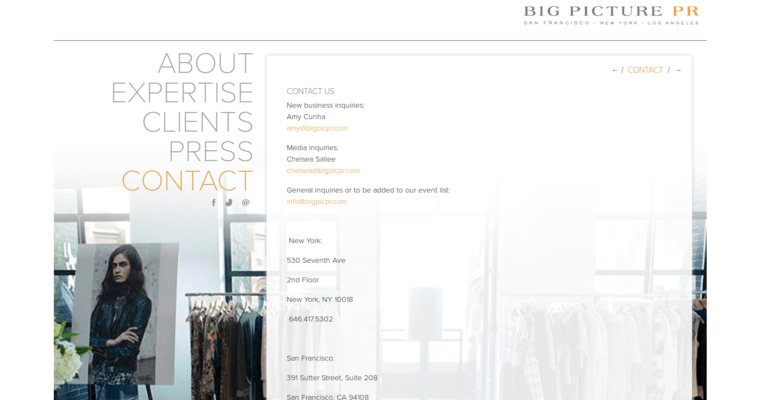 Big Picture PR has earned a place among the best Fashion PR firms, and are ready to work on your campaign, too. Big Picture PR enjoys working with clients that inspire them. The staff formulates campaigns that tell stories. Product launches are designed to engage the media, bloggers and influencers. Once word begins to get around, the aim is to get your brand on the minds and in the closets of your desired target audience. As long as the momentum is ongoing, it will be pushed so that attention is maximized to its fullest. 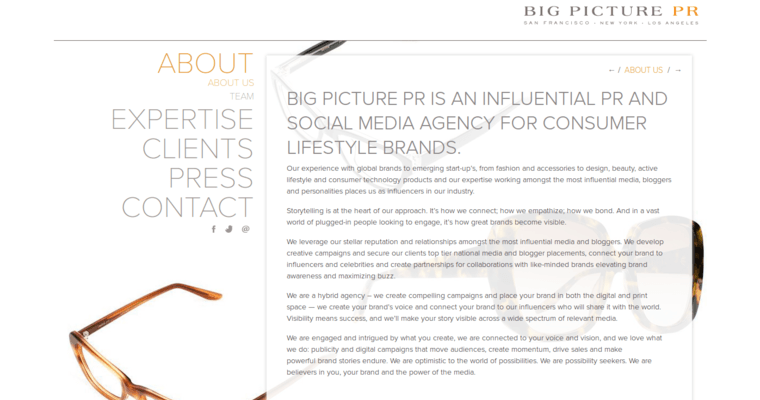 The team at Big Picture PR combines traditional techniques with the latest technology trends and tools for well-rounded PR campaigns.